If you’ve ever wandered the aisles of a grocery store, Target, or–even scarier–a giant Costco, then you’ve probably experienced some level of bewilderment at the amount of different brands that exist for a single household product. Perhaps the decision to select one brand over another comes instinctively due to some deeply ingrained preference that has been cultivated throughout your life. Your parents always bought Crest toothpaste for you, so why not continue to buy Crest toothpaste for yourself? Your teeth didn’t fall out as a kid, so there’s no logical reason to switch things up now. Or perhaps you simply go for the cheapest option–an easy way to cut through the brand noise and make a quick pick. If your mind isn’t already made up for the rest of time, then you are a company’s target consumer, and marketers will deploy strategies to attract you to their brands. One such strategy that has really infiltrated the consumer space–whether you realize it or not–is storytelling. With which one do you have the strongest brand association? Which brand conjures up the strongest image for you? Were we to go out on a limb, we’d probably guess the answer is Charmin. Why? Because their family of non-threatening animated bears–which appear on the packaging of their toilet paper, on their website, and in frequently-shown commercials–is pretty memorable, whether you find them to be cute and endearing or annoying and unsettling. With little stories like these, it’s no surprise that Charmin had the highest sales share of the ten most popular toilet paper brands in the U.S. in 2017, when you add up the individual shares of its Ultra Strong and Ultra Soft offerings. Furthermore, a 2013 study by Mark Kelley revealed that there could be a correlation between the shareability of a brand’s posts on Facebook and the presence of a brand mascot or character in those posts. Which brand saw the biggest boost in shares when using a character? Charmin, of course–a whopping 585% increase in shares was seen when the company included the bears in their Facebook posts. People like to engage with stories, particularly when they make mundane or even unsavory products (like toilet paper) seem cute, inspiring, funny, or important. Storytelling has, in fact, always been a key part of marketing. This is evident in William O’Barr’s piece on the history of advertising in the United States. In his section on slogans, O’Barr uses the household cleaning supply company Sabolio (1869-1905) as an early example of a brand that used slogans to great effect. In reality, it was not just the slogans that made the brand popular–it was how the company’s newspaper advertisements revolved around a fictional “Sabolio Town.” Each advertisement featured a different Sabolio Town resident, whose background was told in rhyme. For example, O’Barr includes an advertisement about a Sabolio butcher: “This is the butcher of Spotless Town, / His tools are bright as his renown. / To leave them stained were indiscreet, / For folks would then abstain from meat, / And so he brightens his trade you know / By polishing with SAPOLIO.” This ad not only tells a little rhyme about the butcher of Sapolio Town, but it also exists as part of a larger fictional world; it is a story within a story. The only real difference between the advertising practices of the late 19th century and the advertising practices of the 21st century is that there are now more platforms through which one can build a brand. Rather than taking out ads in the paper, companies now have to engage consumers through any combination of television commercials, websites, and social media. And as this Acrolinx report shows, numerous studies have shown the incredible value of maintaining brand consistency not only throughout the customer experience, but also throughout the promotion of that brand. Remaining consistent across all these platforms is certainly a modern-day challenge. Stories are a very powerful tool for achieving that consistency and binding all the elements, services, or products underneath your brand into a single identity. 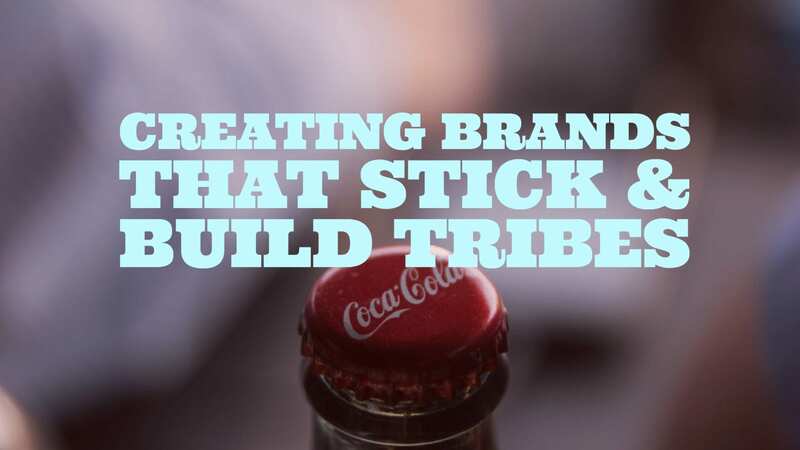 They are ways to communicate brand ideals, ambitions, and values and can really make one company stand out against a competitor when done well. Arch G. Woodside wrote a thorough report on the role of storytelling in the marketplace; he offers up five principles of storytelling, a few of which are worthy of repeating here. The first noteworthy principle is that “human memory is story-based.” As we’ve already suggested, consumers are more likely to remember brand identities through characters and stories. If you’re curious as to why or how stories sit so well with consumers, this infographic by Marissa Sternberg presents some compelling statistics. What clearly emerges from Sternberg’s numbers is that not only do consumers like story-driven advertisements (92% of them, to be exact); they also are visually-driven. With the brain processing images sixty times faster than words, a strong case can be made for video and photo-rich stories. Where can we see this idea in practice today? Nike is an apt example of a highly successful company whose brand identity is entrenched in storytelling. Their Instagram contains countless video profiles of their sponsored athletes and causes, each of which tells an inspirational story. One of Nike’s most memorable commercials of recent years is “Want It All,” a self-described film that tells the story of a fictional basketball player named Donte Grand. In a short two minutes, the advertisement moves through Donte’s childhood, his stint playing college basketball, and his ascension to the NBA, where he plays alongside LeBron James. The story certainly communicates some of Nike’s brand values, such as performance, ambition, and the belief that “if you have a body, you are an athlete.” Significantly, though, it also connects to Nike’s community work, which is centered around getting kids active. Here, Nike uses a visual story to not only highlight the quality of its product, but also to showcase its values and community impact. In other words, the story is enforcing consistency across the different facets of the brand. Another principle of storytelling that Woodside mentions is that “watching, retrieving, and telling stories enables the learner…to experience one or more archetypal myths.” Without going into all the details of Aristotle’s myths and archetypes, on a basic level, we probably all understand that there are character types that appear throughout the history of storytelling, from the plays of the ancient Greeks to the cinema of the 21st century. We can easily identify, for example, that Luke Skywalker is a hero type, while the advice-giving Yoda is a sage and the independent Han Solo is an explorer. We enjoy the saga of these characters in part because they are easily understandable; there is comfort in knowing what to expect from their archetypes. Many companies, too, use archetypes in their branding and storytelling techniques. In fact, Candice Roberts did a study on which archetypes consumers would assign to different companies. Unsurprisingly, archetypes usually aligned with the nature of the company’s product. For example, beer companies were most frequently assigned the “everyman” and “jester” archetypes, while athletic shoes aligned with the “explorer” and “outlaw” archetypes. You might notice that many companies lean into these archetypes in their advertising. (How many times have you seen a car commercial embody the “explorer” archetype, watching a driver traverse different terrains or go on a road trip?) Sometimes, though, you will see a company actually subvert archetypal expectations. GEICO is one such company. While Roberts’ study does show that 38% of consumers identify GEICO as a “caregiver” (which makes sense, given that it is an insurance company), this percentage is much lower than some of its competitors; Allstate sits at 75%, while State Farm sits at 59%. Does this mean that GEICO is significantly less successful than Allstate and State Farm? No. In fact, GEICO had the second-highest market share in 2017 for auto insurance companies in the US behind State Farm. While there are a number of reasons for GEICO’s popularity, it can’t be denied that it is certainly a company that has always leaned against its archetype in its advertising. Rather than producing commercials centered around safety and security, GEICO goes for unexpected humor. It arguably markets itself as the “jester” or “outlaw” archetype, turning a mundane and stress-inducing service like car insurance into something fun. By building their stories around bizarre scenarios that have nothing to do with car insurance–Peter Pan annoying everyone at his high school reunion, for example–GEICO stands out amongst its competitors. A final principle of storytelling to consider is that “individuals seek clarity, to make sense of prior conversations, events, and outcomes from others and themselves, by telling stories.” In other words, stories articulate thoughts and experiences that people internalize. If brands can speak to customers’ personal experiences and world views through stories, they have a greater chance of finding success. “Before she was BadGalRiRi: music, fashion and beauty icon, Robyn Rihanna Fenty was a little girl in Barbados transfixed by her mother’s lipstick. The first time she experienced makeup for herself, she never looked back. Makeup became her weapon of choice for self-expression—a way to radiate her ever-changing mood—and it powered a fearless take on beauty that helped her become the boundary-breaking icon she is today. Fenty personalizes its brand through this story of Rihanna’s simultaneous love of makeup and frustration with the shortcomings of the beauty industry. In telling this story, there is an attempt to reach out to consumers with similar frustrations–to articulate their experience and to offer up a solution. When developing a brand, or strategies on how to communicate and sell that brand to consumers, it is imperative to remember the power of storytelling. If a toilet paper company can strike gold with a family of talking bears, there really is no limit to how creative you can get. Check out these companies for more examples of branded storytelling!